Website not showing up? There’s a good chance your customers won’t, either. It’s never been more important for your website to stay fast, functional and always available. Most people don’t turn to the yellow pages anymore when they’re looking for local services; they’re firing up Google and doing business with the companies that turn up in search results. Make sure your website greets them! 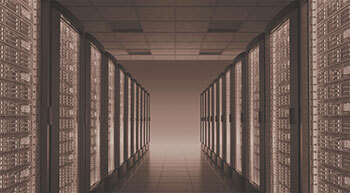 We offer web hosting Philadelphia companies count on to keep their sites up and running at an affordable price. We’re the team that’s local, personable and ready to tackle problems at the drop of a hat. Speed. Slow websites tend to rank lower in search results. Get the edge over your competition with a server that boosts your site’s speed. Security. Monthly checkups for software updates protect your website against the latest threats. You can rest easy and run your business knowing your website is safe as possible from hackers and viruses. Daily backups. We’ll always have a recent copy of your website on file, so we can quickly restore your site if anything goes wrong. Customer service. Tired of spending hours troubleshooting every time something breaks on your website? Give us a call and we’ll work with WP Engine to take care of the problem for you. Affordable hosting. Bigger companies put a hefty price tag on website hosting this good. We keep our pricing affordable for small businesses like ourselves. We can develop and design you a new website to host on WP Engine, or we can transfer your existing site to our server for faster, safer, more reliable hosting than what you have. We charge an extremely reasonable monthly rate that just might blow your mind. In addition, we don’t lock our clients into contracts, because we believe if our service is good, our clients will stick with us. Your business can’t afford a slow, unreliable website hosting service. Stay online and stay focused on your real work—start by giving us a call at (610) 825-4363 or fill out our contact form for a response within 24 hours!